59362a, CENTER CAP USED, 02-09, MINI COOPER, SILVER PLASTIC, 10 ROUND HOLES, RAISED CENTER, BLACK CENTER & CHROME MINI IN CENTER, 6-1/4" DIA. 1280a, CENTER CAP USED, 81-87, CHEVY, CHEVETTE, SILVER PAINTED PLASTIC BASE, 4 LUG NUT CUTOUTS WITH CLIPS, METAL CAP, CHEVY BOWTIE LOGO, 4-1/8" DIA. 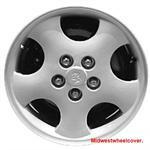 148b, HUBCAP USED, 14", 89-92, EAGLE, PREMIER, SILVER, DARK GRAY POCKETS, 24-SLOT TYPE, DARK GRAY ENGRAVED LOGO, METAL CLIPS. 1531, Used Rims,15X7, 5 LUG, 4-3/4, 87, CHEV, CAMARO, SILVER, STEEL 5 SLOT RALLY. 1531, Used Rims,15X7, 5 LUG, 4-3/4, 87, CHEV, CAMARO, SILVER STEEL 5 SLOT RALLY. 1564, CENTER CAP USED, 88-91, DODGE, DAYTONA, SILVER, HEXAGON, WITH ENGRAVED CS LOGO IN CENTER, 5 METAL CLIPS ON METAL PLATE. 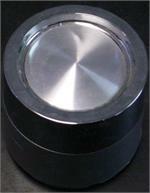 6-5/8" DIA FOR A 16", RIM. 1586, CENTER CAP USED, 88-89, MERKUR, SCORPIO, SILVER, 5 LUG NUT HOLES, THE WORD MERKUR ENGRAVED IN CENTER, 5 PLASTIC CLIPS IN CENTER OF CAP, & 5 PAIR ON OUTER EDGE, 7" DIA. MAY ALSO FIT FORD. 1612b, CENTER CAP, '90, CHEVY, CAVALIER, SQUARE METAL CAP, SILVER, ETCHED BOWTIE, 5 METAL CLIPS, 5-5/8" DIA. 1612b, CENTER CAP, 14", 90, CHEVY, CAVALIER, SQUARE METAL CAP, SILVER, ETCHED BOWTIE, 5 METAL CLIPS, 5-5/8" DIA. 1686A, Used Rims,15x6, 5 LUG, 100mm, DODGE, CARAVAN, DAYTONA, LANCER, SPIRIT, SILVER, 20 POCKETS, ALLOY. 1694, Used Rims, 15X7, 5 LUG, 5-1/2", 89-92, DODGE, TRUCK, RAMCHARGER, SILVER STEEL 5 DOUBLE SLOTS RIM. 2014, Used Rims, 15X6, 5 LUG, 4-1/2", 92-95, DODGE, PLYMOUTH, CARAVAN, VOYAGER, SILVER, 5 SWEPT SPOKE, STEEL. 2041, Used Rims, 16X8, 8 LUG, 8-1/2", 94, DODGE, PICKUP, 3500, 4 SLOT, STEEL, SILVER. 2059, Used Rims, 16X6-1/2, 8 LUG, 6-1/2", 94-97, DODGE, VAN, SILVER, STEEL. 4 SLOT. 2063, Used Rims, 16X6, 5 LUG, 4-1/2", 95-00, CHRYSLER, SEBRING, PAINTED SILVER, POLISHED LIP, 5 SLOT, 5 INDENTS BETWEEN LUG HOLES, ALLOY. 2063, Used Rims, 16X6, 5 LUG, 4-1/2", 95-00, CHRYSLER, SEBRING, PAINTED SILVER WITH POLISHED LIP, 5 SLOT, 5 INDENTS BETWEEN LUG HOLES, ALLOY. NOTE:ALSO COME WITH OUT POLISHED LIP. 2084a, CENTER CAP USED, 97-00, CHRY, SEBRING. SILVER, 10 RAISES MATCH SPOKES, GOLD FULL COLOR LOGO, GOLD WORD CHRYSLER, 7" DIA. 2084a, CENTER CAP USED, 97-00, CHRY, SEBRING. SILVER WITH 10 RAISES TO MATCH SPOKES, GOLD FULL COLOR LOGO IN CENTER, WORD CHRYSLER IN GOLD, 5 PLASTIC CLIPS WITH WIRE RING. 7" DIA. AVAILABLE IN DIFFERENT COLORS. CENTER DIFFERENT BETWEEN YEARS. 2084b, CENTER CAP, 97-00, CHRY, SEBRING. SILVER, 10 RAISES MATCH SPOKES, NO LOGO. 5 PLASTIC CLIPS WITH WIRE RING. 7" DIA. 2105A, Used Rims, 17X9, 6 LUG, 4-1/2", 98-02, DODGE, DAKOTA, DURANGO, PAINTED SILVER, 5 SPLIT SPOKE, FLAT FINISH, ALLOY. 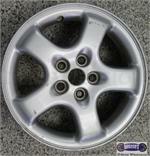 2115b, Used Rims, 17x7, 5 LUG, 4-1/2", 99-01, Chrysler, 300M, LHS, SILVER, 10 SPOKE, ALLOY.